*This page doesn't show all possibilities. Please contact us for a complete survey. Our programs are only organized for groups. Please NO requests for individual participation! 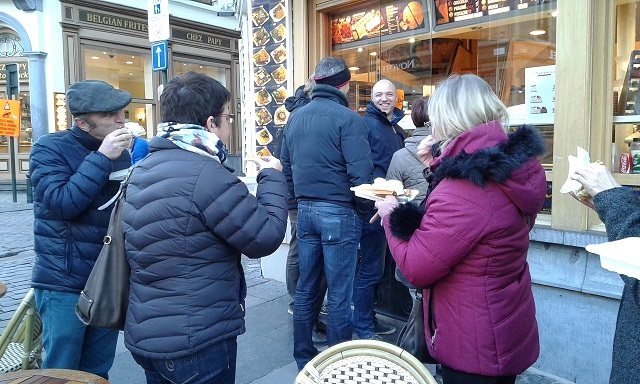 'Belgo-Belge' special guided walk in Brussels with a... 'pistolet' at the end! A memorable drink at the Grand'Place ! The first city walls date back to 13th century. Some remains are still scattered throughout the city; however, you have to know where to look for them since the fortification was not destroyed after the construction of the 2nd rampart... Points of interest along the route: De Brouckère - Fossé aux Loups - Cathedral - Royal Park - Sablon - Saint-Géry - Fish Market. A promenade revealing the glory of the 19th century, from Mont des Arts to magnificent Royal Park and Royal Square all the way to Sablon. 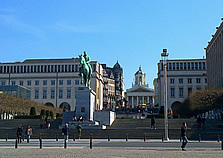 This walk will take you back in time when prominent Dutch visited Brussels leaving numerous traces all around the city. We will guide you through the city center (including the Grand Place, the Royal Galleries, Mont des Arts and the Royal Park) and share with you a lot of anecdotes. 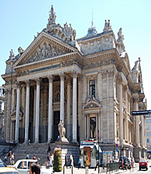 A walk from the 'Our Blessed Lady of the Sablon' church, along the Palace of Justice to the Eglise de la Chapelle. 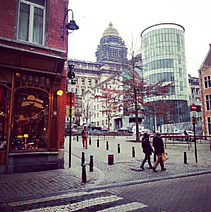 Discover the most authentic and one of the most exclusive neighborhoods of Brussels! 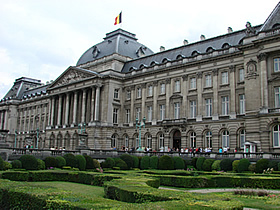 The Royal Galleries St-Hubert, the world famous Grand'Place, Manneken Pis, the Mont des Arts, St-Géry, the former harbour and the Ilot Sacré. But after this walk, you will know too where the best pubs and chocolate makers are ! Upon request, all of our walks may be interrupted for up to 30 minutes if you wish to visit a local cafe, market, antique shop, art gallery etc. Maximum 25 participants/group & 2 groups simultaneous. The walk: where are the best pubs in town? Discover where are the most cosy, crazy, classy pubs in the city centre. The original 'walking' dinner, a culinary walk by Sterkmans Events.... stretch your legs, discover the city center, get some fresh air in your lungs and enjoy yourselves! We organise a real ‘walking’ dinner (or lunch), where you follow a guide around a circuit of landmarks such as Manneken Pis, the Grand’ Place, the Ilot Sacré and the Royal Galleries (3 walks of 30' each). A variety of three traditional venues and in between the “courses” your guide’s comments will illustrate the diversity and history of this city and recent developments here. Date, starting point and timing to agree. 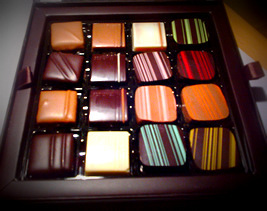 tasting of an exclusive artisan chocolate during each walk. Languages: in French, English, German, Japanese, Chinese, Italian, Russian, Spanish or in Dutch. A visit at the front towers of the Cathedral – only by the special guides – is a unique experience. These 69-meters-high towers (= 28 floors in a contemporary building) are more than 500 years-old and confront the visitors with striking and sometimes mysterious discoveries. The visit will mainly focus on historical and architectural aspects, among them: the Romanesque and gothic's features, building phases and restoration works, gothic vaults and rooftop, the making of the stained glasses, the bells room. The guided tour culminates on the top of the tower, with a breath-taking panorama on the City. We can only organize the visit the towers from March to October from Monday till Saturday and starting between 13h & 15h. Reservations: minimum 3 weeks in advance. A guided touristic walk with an accent on chocolate. Tasting during the walk of ‘pralines’ (chocolates) from 3 different artisan chocolate makers. 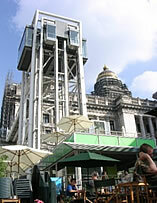 one Belgian waffle + one coffee or tea, served in a 'typical' Brussels venue. Timing: 1,5h walk + 0,5h waffle + coffee = 2h total duration. f.e. Central Station, Royal Galleries, Place du Grand Sablon, la Tour Noire, Place de Brouckère or your hotel (city center). Date & hour: to agree. Group: from 15 to 25 people. Possibility of organizing several groups at the same time. We organize a walk with live music during the ‘starter’, the main course and the ‘dessert’ in 3 different places in the city center. The theme can be touristic or 'about beer' (to specify with your reservation). 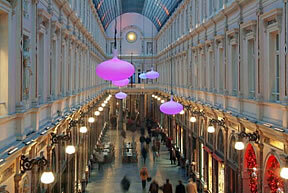 - Visited area: Manneken-Pis, the Town square (Grand’Place), the Ilot Sacré and the Royal Galleries Saint-Hubert. 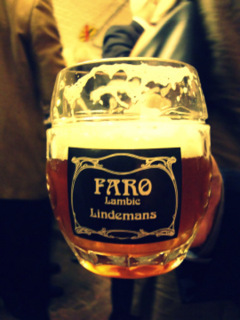 - Third Stop in a tavern to drink another artisan Belgian beer + Live music & end of our program. Languages: French, English, German, Spanish, Japanese, Greek or in Dutch (to be defined at the time of the reservation). 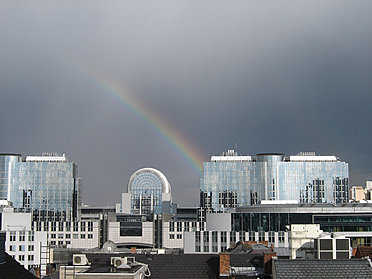 This is a 'very Brussels' guided walk organized by Sterkmans Events. 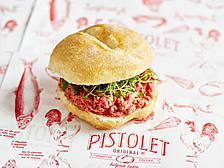 With a very specialized guide and a typical Brussels 'pistolet' (type of sandwich). b) Manneken Pis - Manneken Pis - Royal Galleries. But the mystery stays unsolved! 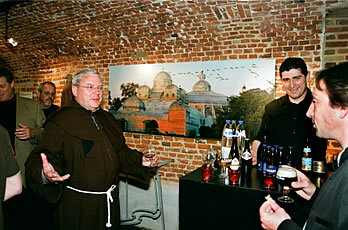 The Beer Tour - "BEST OF BELGIAN BEERS"
We organize a themed walk in the city centre devoted to beer. - 2 Stops in a typical tavern to drink an artisanal Belgian beer. Minimum 8 beers/pub are proposed with introduction of our guide. Individual choice. - a ‘beer’ themed guided walk: Manneken-Pis, the Town square (Grand’Place) and the Royal Gallery Saint-Hubert. Do you want to know where are the best pubs in town? 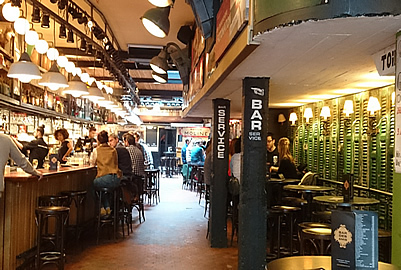 This is the perfect preparation for your own Brussels’ pub crawl. A relaxed walk will give you a chance to discover the most cosy, crazy, classy, shabby and authentic local pubs and bars. Languages: in French, English, Dutch, German, Spanish, Italian, Greek or in Dutch (to be defined at the time of the reservation). Discover by walking the city center: the Grande Place/ Manneken Pis/ Royal Galleries St-Hubert/ Ilot Sacré, the Sablon, the central lanes, St-Géry, the former harbor...in function of the agreed duration. 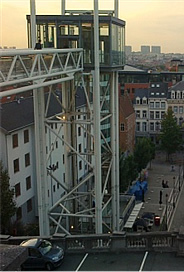 Meeting point: Central Station or in front of the Galerie du Roi. Places to visit will be agreed depending on the timing and your needs/desires. - A portion of Belgian fries at a fries stand in the city centre. - A stop at a nice cafe for a beer, soft, water, coffee or tea (participants can choose their drink). 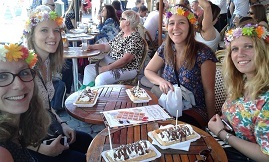 - a Belgian waffle with sugar & whipped cream, at one of the Waffles stands. Maximum size groups -25p per guide. Languages: French, English, German, Spanish, Russian, Italian or in Dutch (to be defined at the time of the reservation). We can organize this program every day of the week, except Monday morning. Languages: English, French, Dutch, Italian, Chinese, Spanish, German, Russian or Serbo-Croatian. 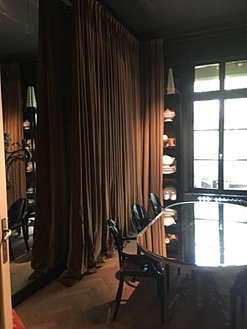 Possibility to organize a 3-courses lunch at the brasserie or a prestigious space. Price and menu proposal on demand. Sterkmans Events proposes a guided walk with a chance to discover two places related to the medieval history of the city of Brussels. 15.45 (or 16:45) : Second walk. 16h30 (or 17:30) : We will welcome you at one of the oldest belgian corporations, officially recognised in 1213 by the Duke of Brabant and is intimately linked with the earliest history of the town of Brussels. It acquired a social position, that grew throughout the “Ancien Régime”, in particular because of its founding of the church of Notre-dame au Sablon. The martial role of the Guild diminished little by little, to give way to peaceful tests of skill, to which important notabilities were invited. Charles V, the Count of Egmont and the Infanta Isabella came to be installed as ‘Kings of the Shoot’. In 1853, the Belgian King Leopold the first, donated the Guild a banner and a collar for the King of the Shoot. Since then, the Guild added ‘Royal et Noble’ to its name. King Albert I, King Leopold III, King Bauduin and King Albert II visited the Guild or accepted the Grand Mastership. King Philip accepted recently. Program: welcome, introduction, initiation & drink (one beer, coffee, tea or soft drink), contest (in team or individual). The best shooter receives a souvenir offered by the President of the Guild. 17h30 (or 18:30) : End of our program. 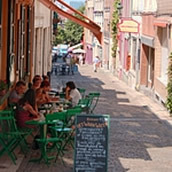 A guided walk by foot (1h) During an hour the participants will discover all kinds of picturesque places in the Marolles. Each region in Belgium has his own ‘old games’. The most games were played in the cafés. A supervisor ensures the necessary explanation at the 10 different games and keeps the scores. 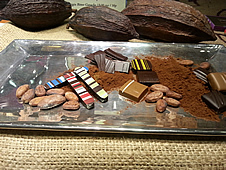 Sterkmans Events takes you for a walk with the smell of cocoa! Accompanied by our guide you will discover (by walking) artisanal products of five chocolate-makers, for example Jean-Pierre Darcis, Laurent Gerbaud, Mary, Passion Chocolat, Galler or Pierre Marcolini (includes tasting of one chocolate from each chocolate-maker). Our guide will give you more information and then we will visit each store or look at their production, if possible. 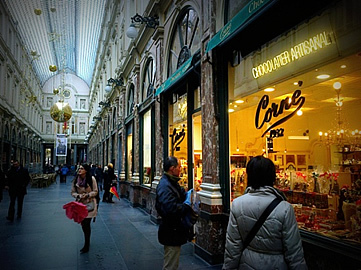 The walk will take you along the Royal Galleries 'Saint-Hubert', famous Grand'Place, Central Station, and Grand Sablon quarter and meanwhile our guide will be introducing you to the sweet world of chocolate and also provide additional touristic information, if desired. It's possible to organise different groups simultaneously. 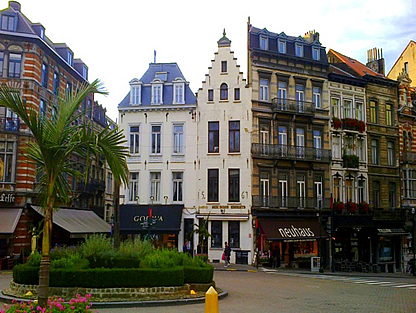 Sterkmans Events proposes a walk with our guide to discover the Sablon and the Marolles district, but also to discover the delicious world of chocolate! 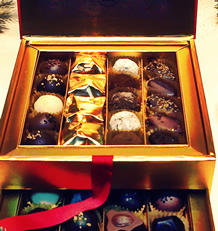 During the walk, you will get a chance to taste the pralines from four different artisan chocolate-makers. Starting point: Palais de Justice. Languages : in English, French or Dutch. 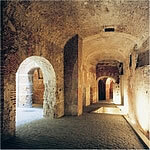 An introduction to the world of the Royal Galleries and their history. Discover the Galerie de la Reine, the Galerie du Roi and the Galerie des Princes. 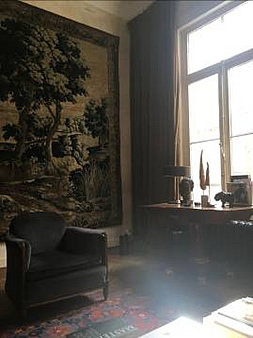 And last but not least the visit of one of the most exclusive private apartments, home of a famous interior architect! Departure between 9:00 et 20:00. Maximum 18 persons per group. Languages: English, French or Dutch. *** It is possible to rent this venue for a workshop, press conference, meeting or private dinner. Maximum capacity for a seated dinner is 15 participants. 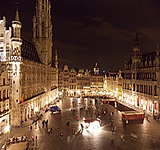 We organize a special drink in one of the most prestigious houses of the Brussels' Grand'Place. Our caricaturist is working during the whole duration of the reception and makes quickly ‘portraits’ of the guests. Drawing after drawing are exposed, commented and admired by the participants. At the end of the event, the lucky models can take their caricature home, an original and unexpected ‘souvenir’! 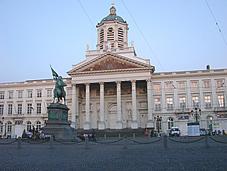 Discover by walking the city center: the Grande Place/ Manneken Pis/ Royal Galleries St-Hubert/ Ilot Sacré, the Mont des Arts, de Place de Brouckère, the Opera or the former harbor...in function of the agreed duration. A guided walk (1 h minimum, 3 h maximum), followed by a lunch or dinner (duration +- 2h) in a gastronomic restaurant in the city center. Languages: French, English, German, Spanish, Japanese, Italian, Chinese, Dutch a.o. 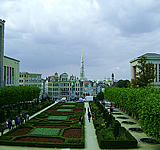 - the city center (Grande Place/ Manneken Pis/ Royal Galleries St-Hubert/ Ilot Sacré) with a guide. 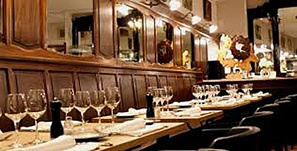 - a Belgian artisan beer (or glass of wine, soft, coffee or tea) in a typical pub. f.e. Central Station, Royal Galleries, la Tour Noire, place de Brouckère or your hotel (city center). We organize a “walk & savour dinner, where you follow a guide around a circuit of landmarks in the Sablon and the Marolles district. During the walks, your guide’s comments will illustrate the diversity of both districts and recent developments here. An enjoyable gastronomic experience which provides an excellent networking opportunity after a day of work or study together, while discovering the gastronomy and history of this popular area of Brussels! 18.00 (or 10.30): Welcome at the ‘Grand Sablon’ (or your hotel in this neighborhood) and first walk, with tasting of handmade chocolates. 19.15 (or 11.45): Second walk. MENU : 3 courses, proposal on demand. 22.00: end of the program. 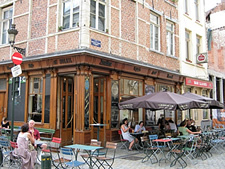 A gastronomic walk in the Brussels' Marolles district. 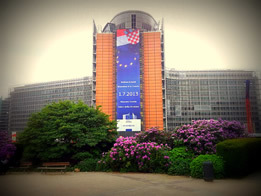 From the Palais de Justice to the Eglise de la Chapelle, spiced up with interesting facts and pleasant stories. 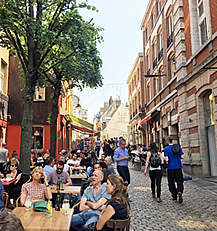 Discover the Marolles, Brussels' most authentic district with the typical pubs, daily vintage market, old shops and the popular vibe. Meeting point: in front of the Palais de Justice. - 1st walk (30 minutes) destination Vossenplein and the place to drink an artisan beer, glass of wine, water, soft drink, coffee or tea. 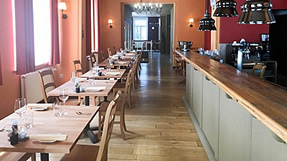 - 2nd walk (45 minutes) crossing the district on the way to the restaurant where a typical course* will be served + one artisan beer, glass of wine, water, soft drink. - 3th walk (20 minutes), 'terminus dessert' (+ coffee or tea). *Individual choice between 3-4 courses if one group of max. 20p or the same course (Flemish Stew + fries) if more than 20p in a group (or more than one group). Date and timing to agree. Languages: in French, English, German, Japanese, Italian, Chinese, Italian, Russian, Spanish or in Dutch. Date & timing: to agree (total duration +- 4.5h). b) From the Royal Galleries, the Grand'Place and Manneken Pis to the Marolles. 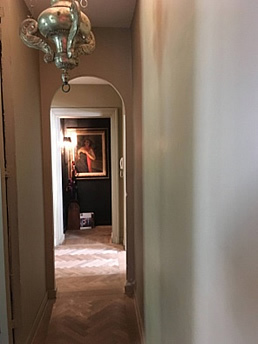 We will welcome you in the cellars of one of the oldest Belgian corporations, officially recognised in 1213 by the Duke of Brabant and is intimately linked with the earliest history of the town of Brussels. Starter, main dish, dessert + ½ bottle of wine and one coffee or tea/participant.